With Declan Rice still undecided on whether to play for Ireland or England, Manuel Pellegrini says the West Ham midfielder needs time to mull things over. 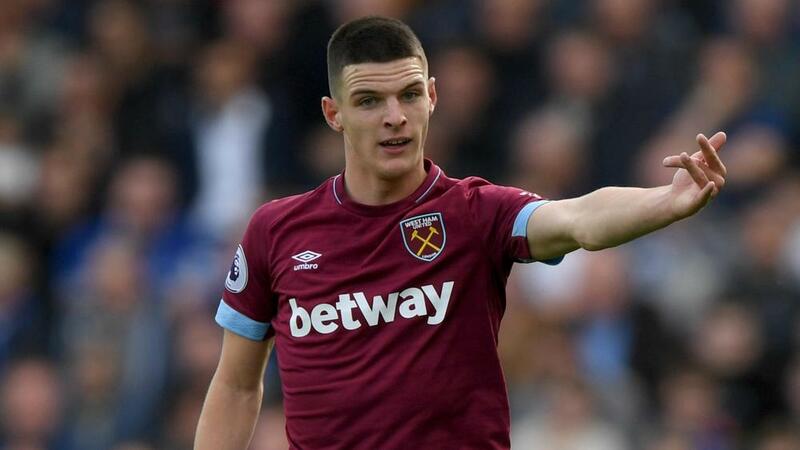 Declan Rice needs more time to decide whether to switch allegiance from Republic of Ireland to England, according to West Ham manager Manuel Pellegrini. An international tug-of-war has developed for Rice's services with reports claiming he is set to turn his back on Martin O'Neill's team. The versatile 19-year-old debuted for Republic of Ireland earlier this year, but each of his three caps have come in friendlies and a switch of allegiance remains possible. Pellegrini insisted the London-born teenager was still mulling over his options and urged against pressuring him into a hasty choice. "I am always talking with all the players and with Declan also," the Hammers boss told a news conference. "He's a young player and maybe we need to give him time to make a difficult decision. It is not easy, especially when you have both sides so near for your family. "So we must not pressure him about his contract or for which country he will play. He needs time." Neither nation has selected Rice for the upcoming round of Nations League fixtures. Speaking earlier on Thursday, O'Neill said: "I've spoken to Declan and the family. They want a little bit more time to make his mind up. "He hasn't made a decision yet. I am hopeful." Rice has started four matches in the Premier League this season, including West Ham's recent wins over Everton and Manchester United.